In place of the Tsarist power or Tsarist government, a juxtaposition of Parliament (Duma) and workers and soldiers Councils (Russian Soviet) took place initially. The Duma set up a provisional government which should draw up a new constitution. The councils or Soviets controlled the decision making of the provisional government, which was directed first by Georgy Yevgenyevich Lvov and in July 1917 under Alexander Kerensky. The composition of the Provisional Government aroused new hope among the Russian Germans. 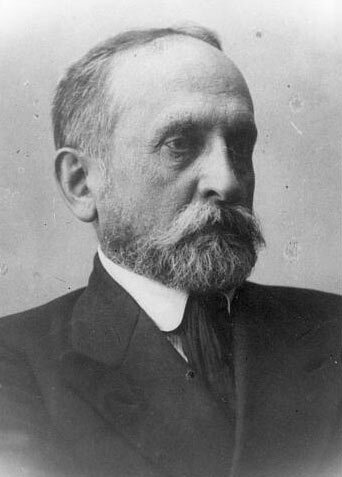 Under Prime Minister Lvov, the majority of the Government belonged to the moderate and liberal forces, who leaned toward the Constitutional-Democratic Party (Cadet party2) and their program, which was close to that of the majority of Russian Germans. The only representative of the Russian left, who joined the new government, was Minister of Justice Kerensky, the most zealous defender of their rights in the 4th State Duma. In addition, the German Russian share was increased in the Central Committee3 of the now highly influential Cadet Party. In addition to the long-standing members, such as the historian A. A. Kiesewetter and the philosopher and journalist P. B. Struve, were now also the former Duma deputy Baron F. Steinheil from Kiev, the engineer A. N. von Rutzen from Kursk and the philosopher and natural scientist S. F. Oldenburg. 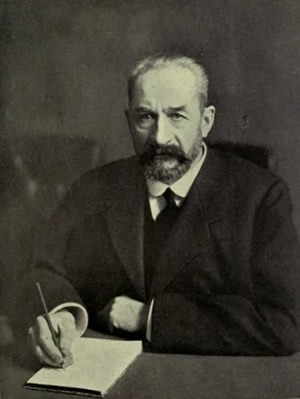 Baron Boris E. Nolde, professor of jurisprudence, served in the months of March and April 1917 as Vice Minister of the Exterior, and S. F. Oldenburg in the months of July and August 1917 as Education Minister of the Provisional Government. The Germans of Russia therefore had every reason to look forward to the Provisional Government with the utmost confidence. Already on 11 March 1917, the liquidation laws4 were suspended on the grounds of enhancing the activity of harvesting and sowing. In German Russian settlements and colonies elation spread. This was reinforced by the fact that about the same time the Provisional Government issued a decree according to which all German settlers who were affected by the evacuation and relocation orders were allowed to return to their places of resettlement. Thousands of German settlers from Volhynia, Livonia, Poland, East Prussia and the Klaipėda, who were displaced in the provinces of Eastern Russia, flocked back to their hometowns. 2 The Cadet Party was a liberal political party in the Russian Empire. Party members were called Cadets, from the abbreviation KD of the party name. Politically they were close to liberal ideology. The Cadet party demanded the allocation of land to landless and land poor farmers. The program provided land grants from a State Land Fund which should be formed by estates of the State, Crown, monasteries and from appanage as well as partially expropriated large estates. "Fair compensation" was intended for necessary expropriations. On November 28, 1917 the Cadet party was declared to be a "party of the enemies of the people.” by the Bolsheviks, and were banned and their leaders were arrested. 3 Central Committee = Guidance at the top of communist or socialist parties. The central committee leads the party between Party Congresses and is frequently an acclamation organ of the Politburo and Secretariat. There is not a fixed number of members and candidates. 4 With the Liquidation Laws from 2 February and 13 December 1915, all subjects with Austrian, Hungarian and German ancestry, living within a strip of land 150 km wide along the western border, and 100 km along the Sea of Azov, the Baltic-, the Black-, and the Caspian Seas would have their property confiscated and then be deported to Siberia. Only those people who were of the Slavic Orthodox faith or nationality and people, who served as officers or volunteers in the army, and their relatives were exempted from this degree.